The final hearing in Iran's secretive trial against Jason Rezaian was held Monday and there was no immediate update on his status. The Washington Post journalist has been in Iranian custody for more than a year. "By Iranian law, the court has one week to issue a verdict in the case," his defense attorney Leila Ahsan said after the hearing. "Having read the case file front to back, there is no evidence that would support the charges against Jason. I expect nothing but his full acquittal," Ahsan said. The hearing in Tehran was closed to the press and public. Rezaian's brother Ali said on CNN Monday morning that "now we just have to wait for the verdict." "It remains unclear even to Jason's lawyer what might happen next," "No verdict was announced (and) Iran's Revolutionary Court has offered no official indication of when such an announcement might come." Authorities have accused Rezaian of espionage, but have provided no proof. The Washington Post's executive editor Marty Baron has categorically denied the allegations. Baron has called the trial a "sham" and the treatment of Rezaian a "travesty." He said Monday's hearing was a "critical moment" in the case. Related: Who are the Americans detained in Iran? "We call again on Iran's Revolutionary Court, even at this late date, to demonstrate fairness and justice that could only result in Jason's acquittal and immediate release," Baron said Saturday ahead of the hearing. "The end of this 'judicial process' presents Iran with an opportunity to bring this nightmare to a long-overdue and humane resolution, by exonerating Jason and his wife, Yeganeh, and allowing them the freedom that is their right." 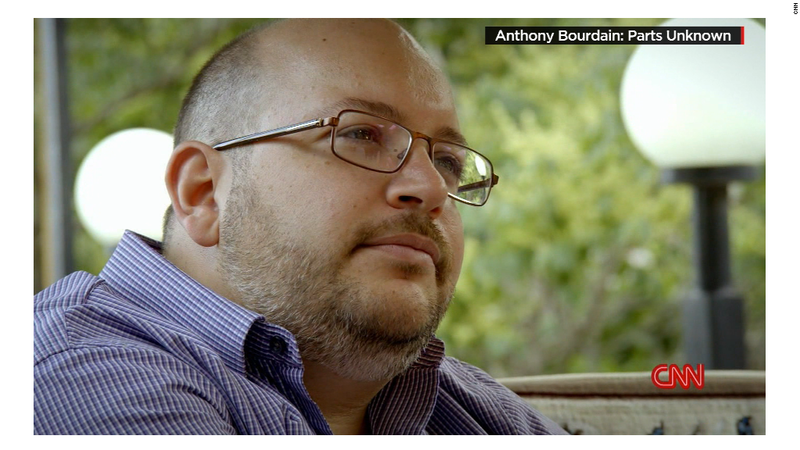 Journalists all around the world have joined the Post in calling for Rezaian's release. Rezaian was detained in July 2014. For months he wasn't even told of any charges against him. Eventually, in May, a secretive hearing was held in Tehran. Two others have been held since then; Monday's hearing will be the fourth. Baron said there has not even been "a hint of basic due process" in the case. At times Rezaian has seemed like a pawn in a geopolitical face-off. In recent weeks Rezaian's supporters have become guardedly optimistic that the recently-announced nuclear accord between Iran and five world powers will help ease the way toward his release. Some observers have even depicted Rezaian as a "hostage" of Iran, though Baron and Rezaian's family members have not gone that far. Diplomatic officials in the United States have said that they will continue to press for Rezaian's freedom. In a speech last month, President Obama mentioned Rezaian and other Americans "who are unjustly detained in Iran." "Journalist Jason Rezaian should be released," Obama said.